This item is coming up in mid-August estate sale, and we are offering it up here for pre-sale. This is a lovely, authentic Mid-Century Modern circa late 1950's/early 1960's credenza dresser with matching mirror. 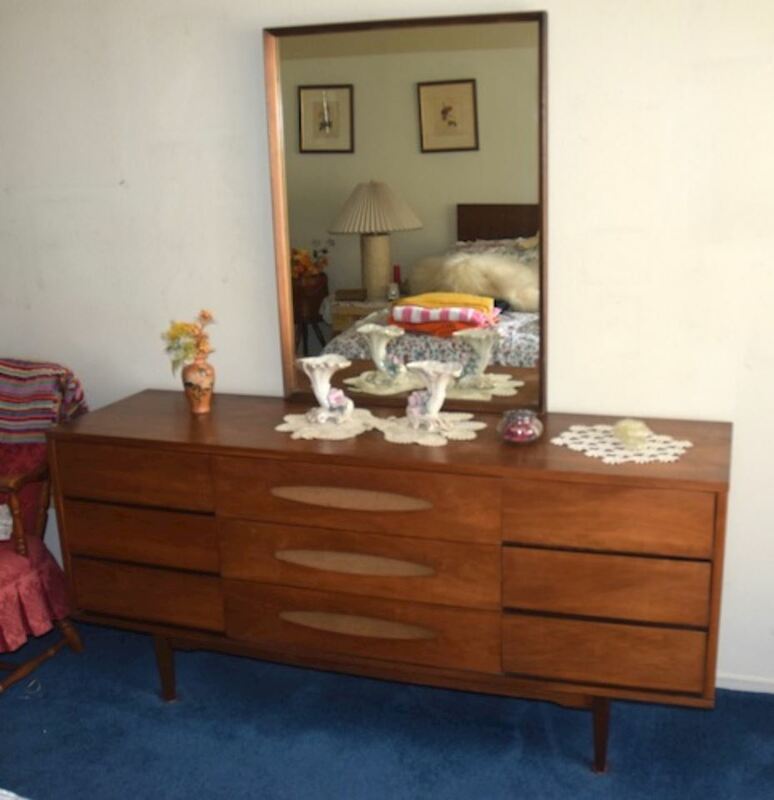 The dresser is in very good to excellent condition and is made by The Real McCoy Furniture Company. Asking $750, but will entertain serious offers. This is for LOCAL PICK UP ONLY. Please email if you wish to set up an appointment to view.